The Oddfellows, Exeter, Devon. Information, Photos and Reviews. Only a stones throw away around the corner from the hustle and bustle of Exeter High Street, our independent, relaxed and friendly gastro bar will be sure to please. The stylish and eclectic mix of old and new decor will soon have you feeling quite special and perusing a mouth watering menu of English style cuisine that has been given a modern twist. 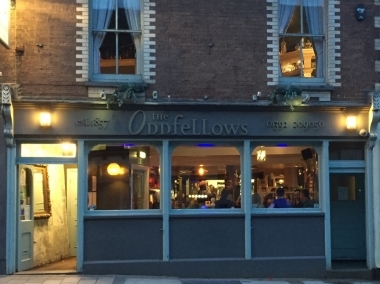 Nobody has reviewed The Oddfellows yet, Be the first. You are submitting a booking enquiry. The Oddfellows will then contact you by email with details of availability and prices.